Its hot outside! 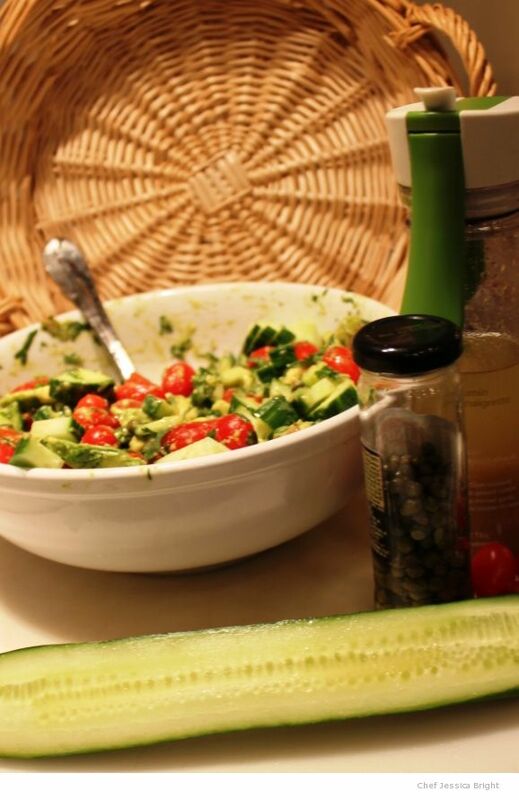 Finding something satisfying and delicious without heating up the kitchen often leads to salad in the summer. 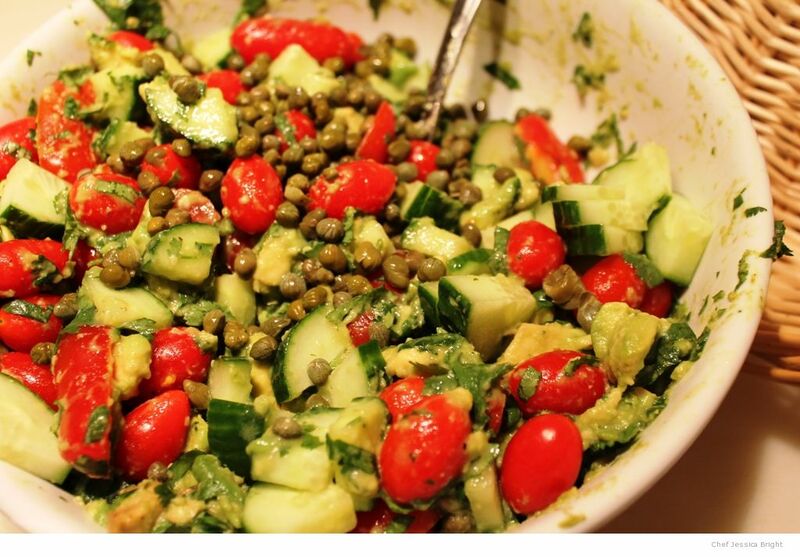 The contrast of cool cucumber, creamy avocado, salty capers, and smoky cumin combine to create this delicious salad. You can enjoy this as side dish with your favorite summer grilled dinner or add grilled chicken or shrimp and serve this as a complete meal in itself. If you want to make this ahead of time (or if your avocados are really ripe) wait until the last minute to cut and add the avocados to the mixture. Peel and dice the avocados and toss in the fresh squeezed lemon juice to prevent browning. 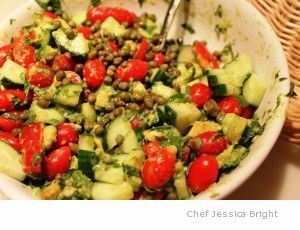 Place remaining ingredients in a large bowl, top with avocado. Combine dressing ingredients in Emulstir jar and mix. Pour over prepared vegetables and serve.